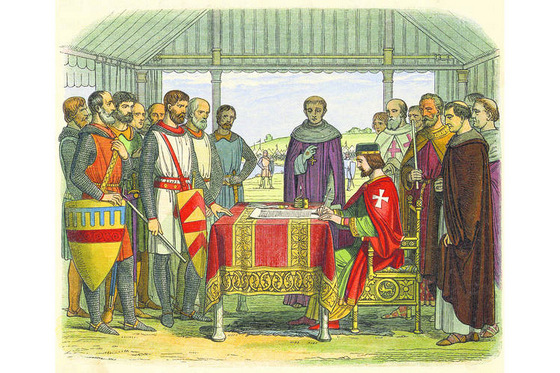 Magna Carta is Latin for “Great Charter.” It was so named not because the men who drafted it foresaw its epochal power but because it was long. Yet, almost immediately, the document began to take on a political significance that justified the adjective in every sense. The bishops and barons who had brought King John to the negotiating table understood that rights required an enforcement mechanism. The potency of a charter is not in its parchment but in the authority of its interpretation. The constitution of the U.S.S.R., to pluck an example more or less at random, promised all sorts of entitlements: free speech, free worship, free association. But as Soviet citizens learned, paper rights are worthless in the absence of mechanisms to hold rulers to account.